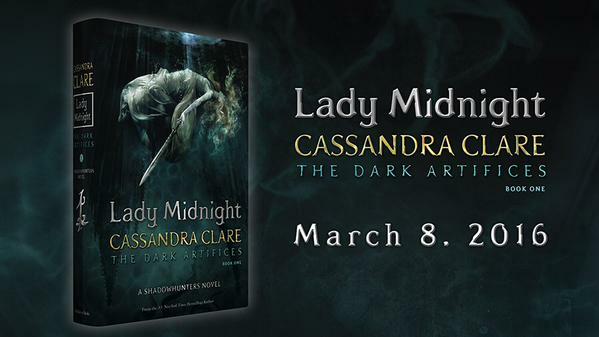 Remember when we posted about the Canadian Lady Midnight contest and said we’d keep you updated about future chances to win a Lady Midnight ARC? Check out the cool box for the Advance Reader Copy of Lady Midnight, the next book in the Shadowhunter Chronicles. And find out a little about how to win one! The full contest will be posted Friday. Doesn’t the ARC box and its content look absolutely amazing? In case you missed one of the most important information of the video – the contest will be international! I am going to enter as many times as I possibly can. I want this ARC! I WANT ONE ❤ !!! This contest is international. Fans from all over the world can enter! Cool! Didn’t fully read the article. Silly me! Will we learn how and where to enter soon? I already pre-ordered a copy, so I guess sit this one out. But wouldn’t it be cool to have an ARC of this book? I’d take the best care of it. I’ve pre-ordered this book, but I’m still entering this contest anyway. I just fan-gasmed so many times that its unreal. I keep refreshing her tumblr, but I don’t see anything about the contest.